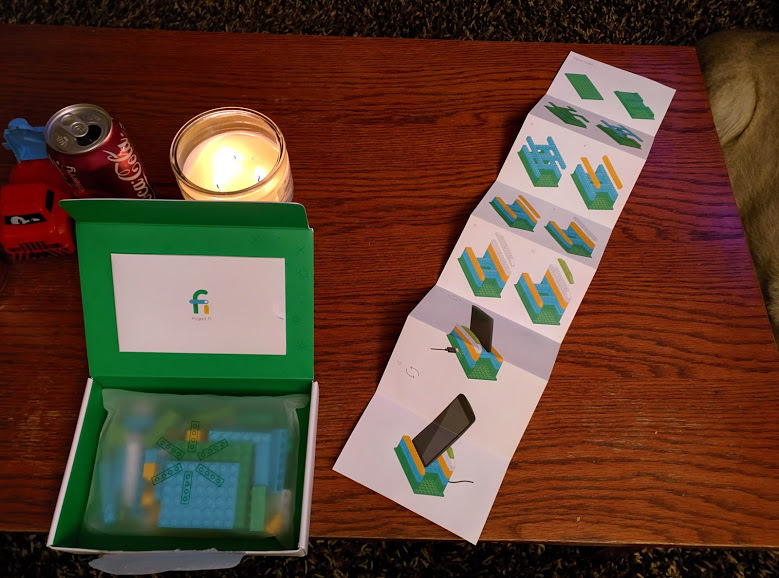 Google Project Fi subscribers have received a gift for the holidays in the form of a build-your-own Lego charging stand. The present has arrived with some of Google’s early customers ready to make in the colors of its mobile operator brand. Project Fi, Google’s network-of-networks, piggybacks on the infrastructure of existing mobile operators and looks like the most comprehensive offer on the market, covering more than more than 120 countries. However, it is currently invite-only, or rather, you can request an invite, but this is still limited US folks at present. Subscribers including Jason Lukaszewski, who appear to be big Google+ users too, have been sharing pictures of their kits online. Fi Basics, which includes unlimited domestic talk and texts, plus unlimited international texts, costs $20 per month. Data is $10 per GB on top of that but Google gives back credit each month if that is unused. Google is selling Nexus 5, Nexus 6 and Nexus 6P handsets itself that come pre-loaded with Project Fi, otherwise you can request a SIM if you already have your own device.